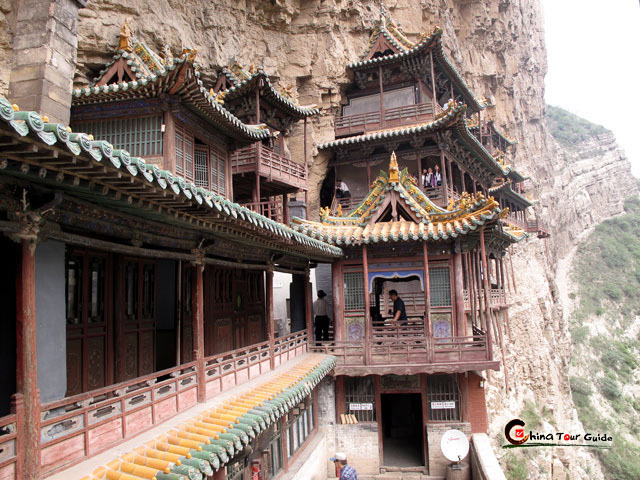 Most people have an idea about the Leaning Tower of Pisa in Italy as an architecture wonder in the world, but are not familiar with the China Architecture Wonder----Datong Hanging Temple. Luckily this temple was listed on "World's Top 10 Most Dangerous Architectures" by the Times Magazine of United States on June, and more and more people would know about this excellent tourist spot. 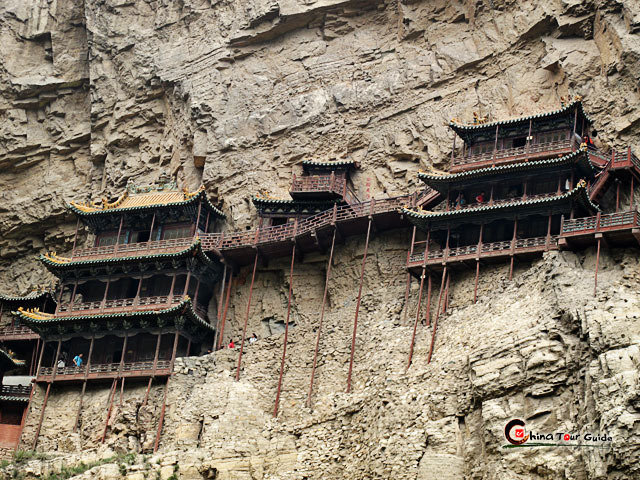 Hanging Temple (Simplified Chinese: 悬空寺; ) is located behind Hengshan Mountain, near to Datong, Shanxi Province. 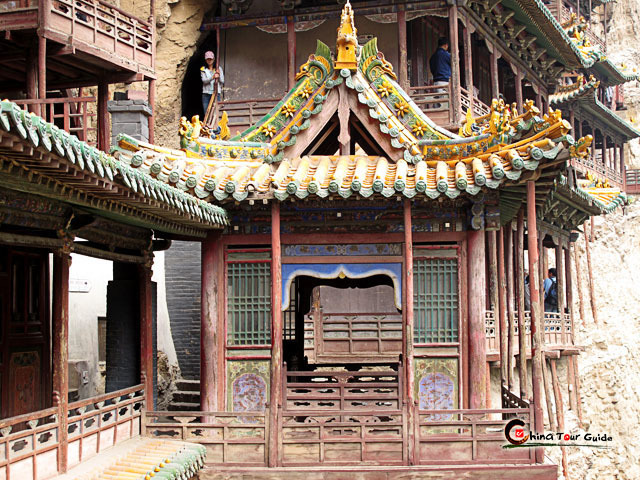 Hanging Temple traces back to 1400 years ago, the building process began at the time of Northern Wei Dynasty. 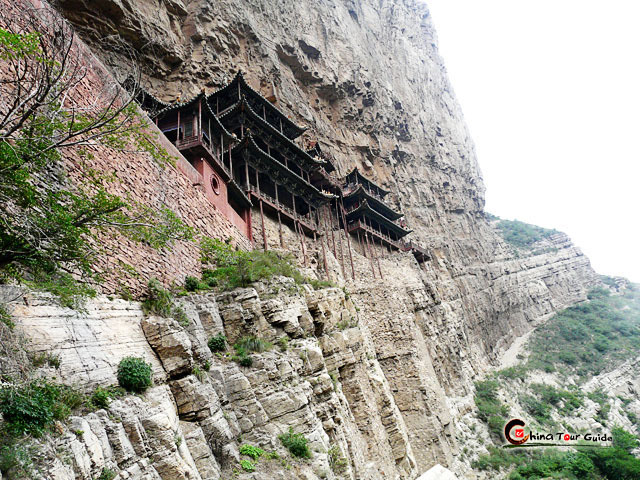 According to the history of Hengshan Mountain, the whole construction started by only one person, a monk named Liao Ran. As an amazing construction wonder, Hanging Temple is even more dangerous than the Leaning Tower of Pisa. From the outlook of this wooden temple, it is easy to think that the temple is supported by these fragile wooden sticks. Actually when the temple had just accomplished, there were no sticks to likely support the temple, and the whole temple seemed to be hanging against the cliff. But no one dared to come up to the temple, so later the master of the temple had to order workers to add several wooden sticks to comfort other people mentally. 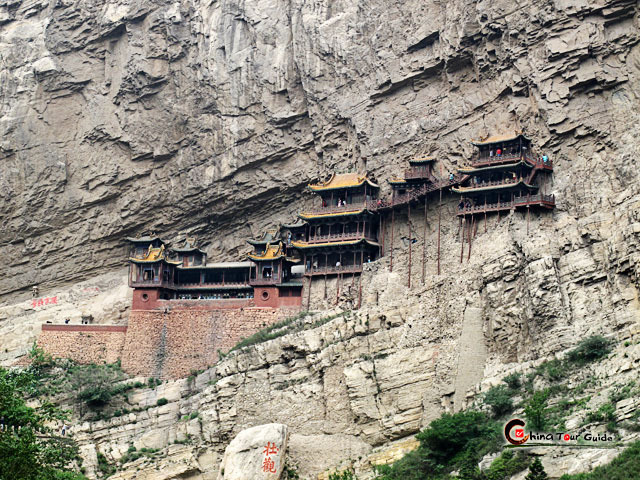 So we can see that the construction wisely adopts the theory of Mechanics, chiseling holes from the cliff face and plugging the beams and cantilevers into the holes as the support base of the whole temple. Hanging Temple uniquely features Buddhist, Taoist and Confucians elements, it is very rare. Unfortunately plenty of heads of Buddha statues had been stolen. Surly it was a pity that the temple was not well preserved in the past. Inside the temple, with a total of 40 halls and cabinets, it contains about 80 vivid sculptures made of iron, stone, copper and terracotta. When stepping into the temple, you can smell ancient feelings from the old woods. Especially it really needs some guts to climb some very narrow wooden stairs. Take a deep breath, start your wonderful tour to explore this incredible temple with ChinaTourGuide.com!